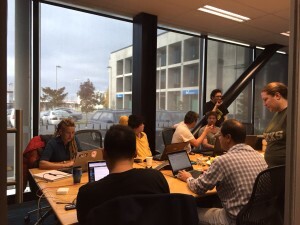 Stratos Technology Partners are proud to have sponsored the first Charity-IT Hackathon event in Christchurch in May. 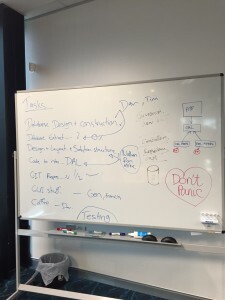 In one weekend, volunteer IT professionals knocked out technology solutions for charities Renew Brighton, Volunteering Canterbury, Gap Filler and last minute stand-in, TimeBank. Piyush Misra, Charity-IT’s Christchurch representative, says the organisation was founded by Melanie Bourke and lawyer Althea Carbon when they noticed that many Charities couldn’t afford the IT infrastructure they needed to fulfil their goals. 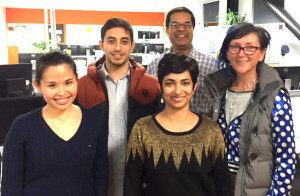 They held their first Hackathon in Wellington in 2014 and have gone on to hold them in Auckland and now in Christchurch. Plans are being developed to hold one in Tauranga. This year, the charities needed new websites and online resource libraries to improve their shop fronts and allow the charity, its funders and its volunteers to better collaborate with each other. You can imagine getting something like this done in one weekend is quite an ambitious task, so Charity-IT chooses the projects carefully. They needed to find projects that were achievable in the short time available and sufficiently challenging for the developers in order to achieve a high level of engagement. Charity-IT organised for the volunteer business analysts to meet with the charities for an evening a week beforehand. They hoped to get as much of the design work done before the developers started their work on the weekend. They also packed an extra few hours in by starting the Hackathon on the Friday night rather than on a Saturday morning. The weekend was an intense but enjoyable experience, as the various groups worked at pace to meet their objectives. “The volunteers put their heart and soul into the projects,” said Piyush. Various teams lent members to one another as various skill sets became free. As time ticked by, the pressure to finish quickly built up, but by Sunday evening all the projects had achieved their objectives. Volunteer Canterbury said, “Three volunteers, all IT professionals spent the first weekend in May re-designing our website. Our thanks go to (from left to right) Rob Ingram, Damjan Kosir, and Jeff Harrison. If you’d like to join up as a volunteer for Charity-IT you can contact them through their website or calling Melanie Bourke at +64 (21) 919 635.